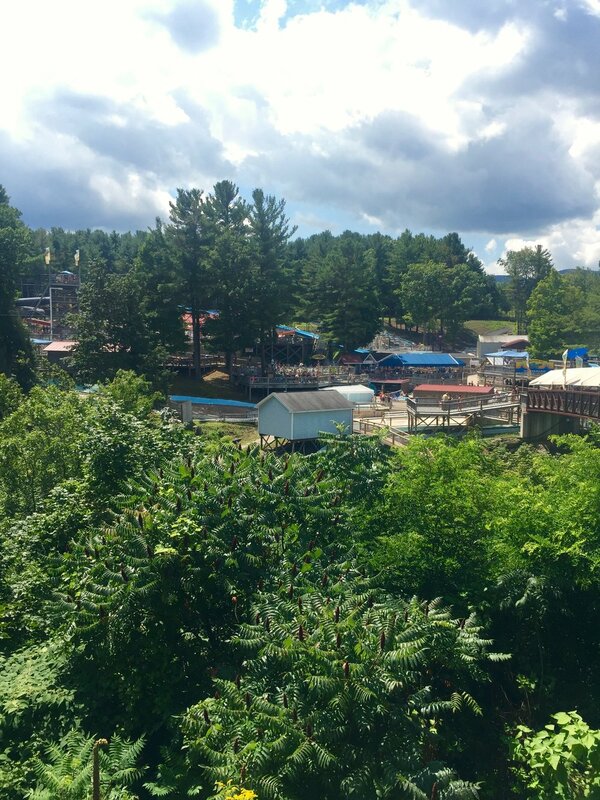 The Zoom Flume is a full-fledged water park tucked away in the Catskill Mountains, surrounded by forests and rolling hills, topped by a canopy of clouds. If you've ever felt trapped or overwhelmed at in indoor water park, like Kalahari or Great Wolf Lodge, then the open-air, colorful, and clean Zoom Flume might be the place for you. Here, the air is fresh and the turquoise lining of the slides and splash pools complement the blue skies overhead. With native plants peeking out between the water slides and boardwalks, it's easy for little visitors to imagine themselves on a wild wildness hike, trekking from one aquatic adventure to another. And, man, that wave pool! 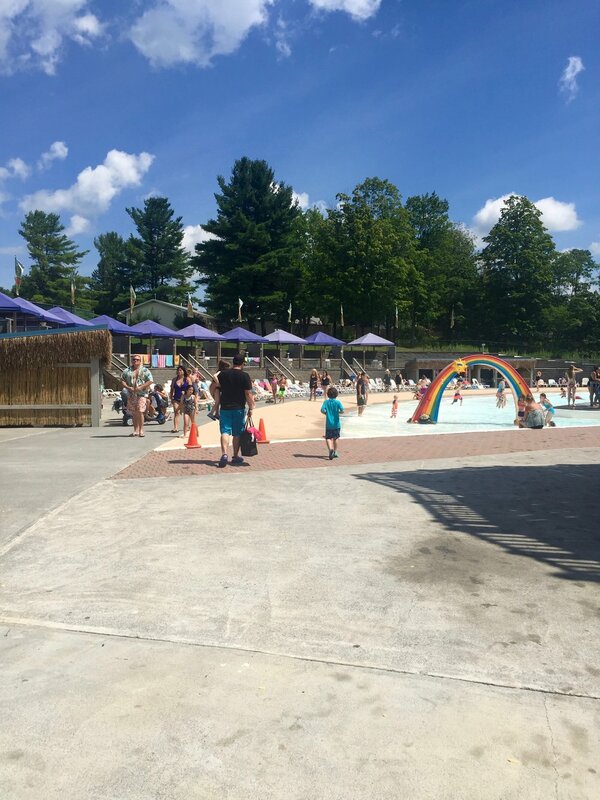 Wading in, you can look over the treeline to a backdrop of deep blue rolling hills, breathe the clear Catskill mountain air, and listen to the giggles and squeals of children lifted by each passing wave. It's hard to imagine a happier place. 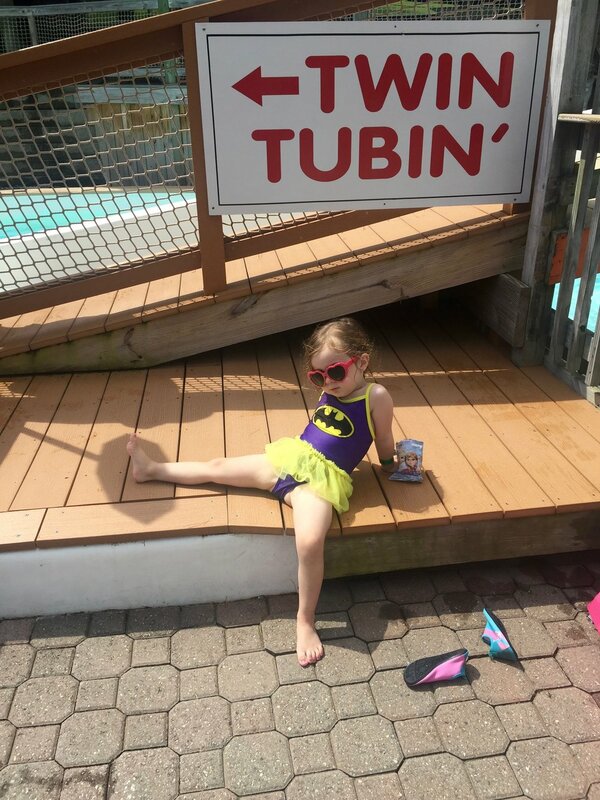 Even the littlest kids will find plenty of places to splash around (swim diapers are a must for the not-yet-potty-trained set), but there are more ride for kids over 36 inches tall, including a dark, twisty tube slide called the Black Vortex. At 42 inches, kids can body-slide down the Mighty Anaconda, the Canyon Plunge, and those original Serpentine Slides that opened in the '80s. At 48 inches, kids qualify for the Grand Prix Splashway and Typhoon Twister. Since I was a child, I've watched the Zoom Flume evolve from a little countryside resort with a couple of water slides into a destination-worthy water park where I get to make happy memories my own children. Someday, my kids may ask to visit bigger, crazier water parks, but for now, the Zoom Flume is our go-to spot. Zoom Flume is located at 20 Shady Glen Road in East Durham, NY; 518-239-6271. Feb 14 Dollar General, East Durham: Love It or Leave It?